I had a fabulous week of reading! I was a little off last week because of a long weekend of girly fun at the cabin but I now I'm back on track, woot woot! I finished Wolf Hall by Hilary Mantel and I read Calling Invisible Women by Jeanne Ray. 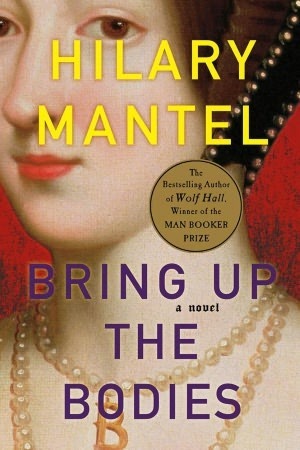 I devoured Hilary Mantel's Bring Up the Bodies as well. Right now I'm reading American Dervish by Ayad Akhtar. What's next? I don't know!! I have a number of books on request at the local library and I'm just waiting to see what comes in this week. 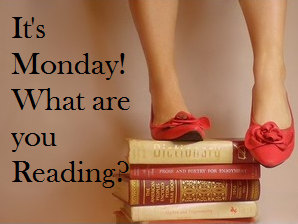 Have a fantastic week of reading everyone! I like your books! Calling Invisible Women looks like a fun read. I'm in the mood for fun reads after two weeks finishing a slew of serious books, barring one fabulous thriller. It was definitely a fun read :) There are times when you need to read something like that! I try to sneak in a humorous book in between all the seriousness so I don't get too burnt out! Miss Peregrine's is a super fun read, you'll like it. Just beware, it's left wide open for a sequel. 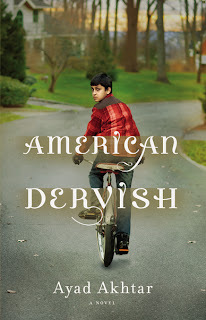 It's already been optioned for a movie! I do love a good sequel! :) I've heard such good things about Miss Peregrine's, I can't wait til it gets here! Great books this week. 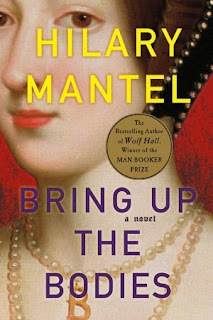 I'm going to be starting Wolf Hall later this week as part of the read-a-long. I can't wait to start it. You're welcome Kristin, same to you! 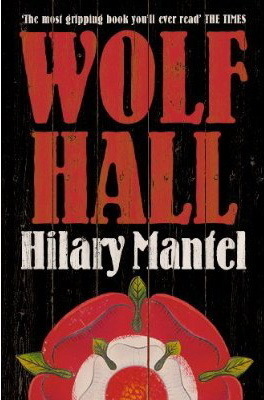 I hope you enjoy Wolf Hall :) I've never done a read-a-long, I might have to look into that! Nice looking selection of books I have never heard of. I do have Miss Peregrine's... on my TBR mountain somewhere though. Here is my Monday Report. Happy reading! Thanks for stopping by Kathy :) I hope you have a great week of reading too! "Visiting Sunny Chernobyl" looks really good. 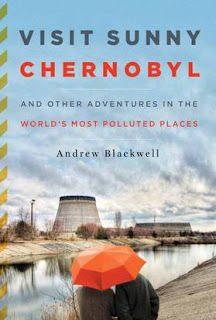 As I understand it the author visits sites of ecological disasters all over the world. This sounds like such an original concept but perhaps a disturbing book. Please keep us posted on what you think when you have finished it. Books that are disturbing usually make me think more than most, and they seem to teach me so much as well. I'll definitely let you what I thought of it when I'm done. Your two 'in transit' books are both on my to-read list. They both sound a little quirky. Don't they though? I love a good quirky read! Something different, something that opens your mind to a new way of thinking :) Thanks for stopping by Leslie! Completely totally jealous of your awesome reading week!!! I have Mantel on my ever toppling TBR Pile. I'm curious about Calling Invisible Women...and the Miss Peregrine book has been on my wish list. Thanks for visiting my blog, and enjoy your reading. I hope you're able to read them Laurel, I'd love to hear what you think of them if you do! I was glad to be able to read them like that (with just a little book in between) it helped me to dive right into the second book without having to familiarize myself with the characters again. I want to begin Wolf Hall so badly, but there are so many other books to read beforehand! I have serious first world problems. Looks like you've got a great week ahead of you! Wow! You got through Wolf Hall and Bring Up the Bodies in one week? Impressive stuff! Thanks Lindsey. Bring Up the Bodies wasn't quite as hefty as Wolf Hall! I wonder if I'll ever get to the bottom of my tbr pile? Probably not, but I guess that's how I like it! Visit Sunny Chernobyl was just too tempting to resist! Off to request it! Doesn't it sound interesting? I hope we both enjoy it! Thanks for stopping by Deb, happy reading! Whew! You definitely finished some huge books this week! I can't wait to see what you finish next week. I love your blog name! I'm gonna add you to my blogroll. Wolf Hall is on my wish list. Thank you so much, I really appreciate that!! You got through some chunksters. 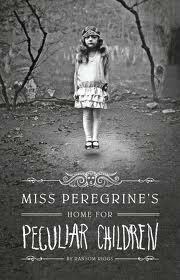 I've heard wonderful things about Miss Peregrine's Home For Peculiar Children, hope you enjoy it. I can't wait until it gets here, my library will send me an email when it does so I'm checking my mail a bit obsessively, lol. And yes, I'd love some contact info for your designer. I've been looking around for one, thanks! I've been curious about Miss Peregrine's Home for Peculiar Children. I have a copy of it sitting on my bookshelf. Maybe I'll get to it by the end of the month.